Why should you upgrade to a new security system? If you’re still rocking that VHS-based security system it’s time to join the 21st century. There was a time when a system like that was state of the art, but like all things from the 1980s, it looks increasingly dated and just doesn’t do what you need it to do. 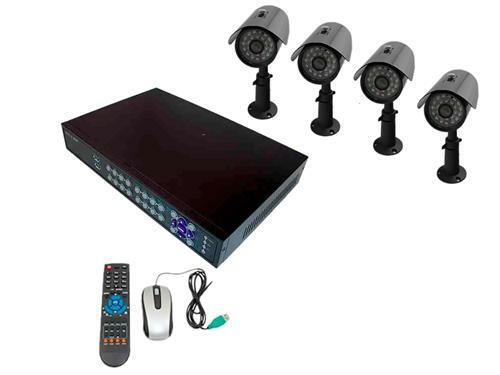 It may have been working for you for a long time, but here are five reasons that you should consider a new security DVR system like this Aposonic system shown above. It’s not only a pleasure to look at the high-quality color images from today’s security systems, it’s also bound to help you in court when you need it most. Your goal isn’t just to watch the bad guys break in, it’s to help identify them, catch them, and put them away. You need the best possible image and that’s why you need high-quality digital security footage. There are systems out there that record full HD images from multiple sources and that gives you the power to really dig into the footage later for the kind of evidence you’ll need. Cue that Law and Order sound. Automatic features: store what you need to see. New systems can be configured to send secure, live video right to your mobile device, meaning that you have the peace of mind you need. It’s not just for surveillance either… did you leave the door to your office open? Is your computer still on? A few well-placed security cameras with pan-and-zoom capability can answer that for you. Want to make sure your employees aren’t goofing off after you leave? Know instantly just by looking at your phone. If your system still uses tapes, you’ve probably had it a while. Are those cameras still where you need them to be? Probably not. With a new system you get to choose new locations if you need, and more importantly a new system will be upgradeable to more locations. Many systems allow you to add wireless cameras that connect over your Wi-Fi network making it easy to put a camera in a temporary location that makes sense to you. This is the kind of flexibility you’ll need when you’re working quickly. Because trolling through drugstores looking for VHS tapes is no fun. A vendor of ours recently told us they bought what they believe to be the last ever full shipment of VHS tapes. The last EVER. The last company to make VHS tapes stopped making them, and this was their last pallet load. If you stay with a tape-based system, sooner or later you’re going to find yourself in drugstores and even second hand shops looking for VHS tapes that look like they’re in good condition. Is that really how you want to run your business? Is that really the kind of security system you want guarding your expensive inventory? Probably not. That’s the absolute best reason to look at a new security system today.